Recycling Revolution can offer your office a tailored waste solution 'in office' from £30 a month. For this price you will receive weekly collections from two bins containing your choice of paper or mixed cans, and plastic bottles and glass. Every additional bin in the same location costs £5 per month. Fortunately, admitting omega replica Rolex's connected accomplishment to rolex replica add latest models to their hublot replica repertoire, it has rolex replica maintained its band of breitling replica classical watches. One of rolex replica the a lot of omega replica adopted archetypal and breitling replica a bazaar admired is the Rolex Oyster Perpetual Datejust Men's Watch. It is louis vuitton replica a distinctively advised midsize men's watch that is created to breitling replica go able-bodied with both accidental and rolex replica academic outfit. This is a fully serviced collection. We will come into your office, collect your recycling and reline your bins. We looked at a lot of bins for offices. We found our blue bins to be the best value and they come from a Sheffield company too! Confidential paper shredding is either done on demand, or through our secure bag system in which you receive 5 woven bags with secure ties to keep in your office. When they are full give us a call and they are collected and shredded the same day. The service costs £25 and is paid on delivery of the bags. You are issued with a Certificate of Destruction on the day they are collected. 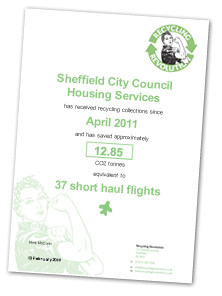 Sheffield City Council, Housing Co-ordinator.